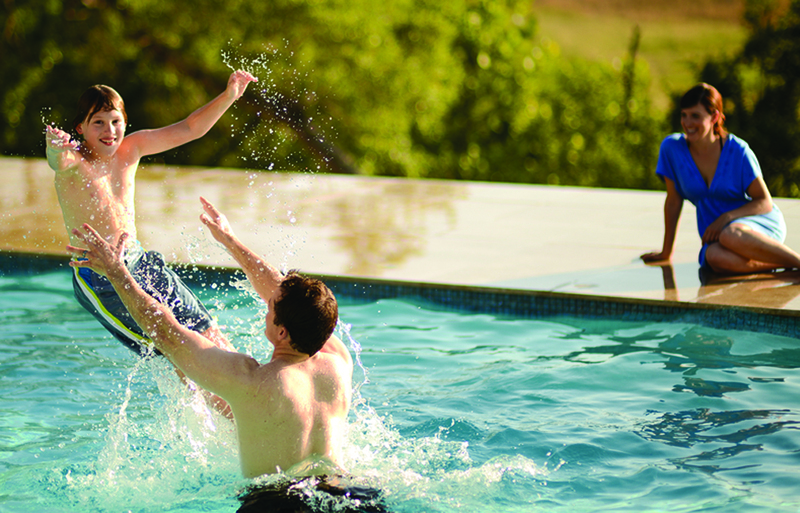 Fun, fun, fun…that’s what we like to have at our pool store. Pools are supposed to be fun! All work and no play made Jack a dull boy…remember? Well, Jack got a pool and he’s having a ball now! We’ve set Jack up with a full array of automated systems to control his chemicals, pool cleaning, heat, and equipment. We even stuck a pool alarm on there and a safety fence. Even better, we also fitted his pool for a safety cover so he doesn’t have to worry about Little Jack during the swimming season or off-season. Jack’s a new man! 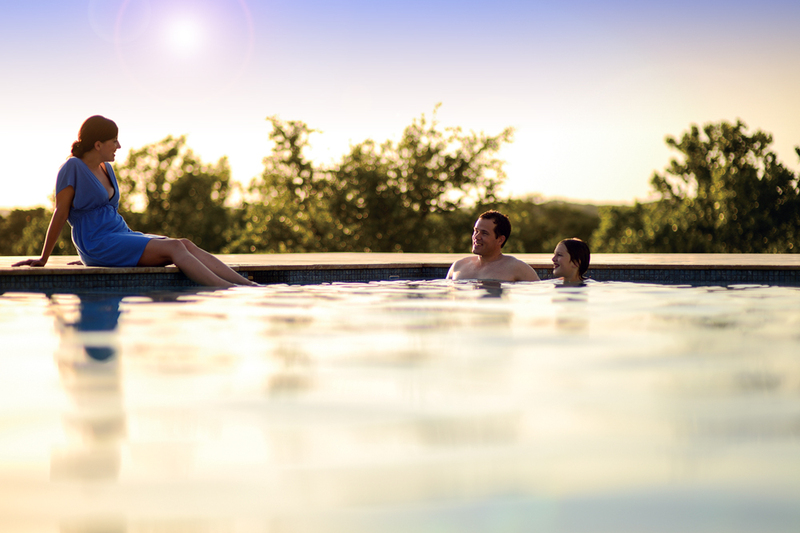 With all his fun pool lounges, games, and that sparkling water…it’s a whole new atmosphere at the Inn! 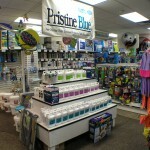 Our store is bursting with all your pool needs. 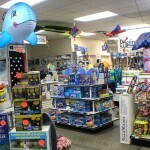 Yes, we have loads of fun items—from baby seats and dive sticks to elaborate basketball games and tanning lounges. There is something for all age groups, genders, and likes. 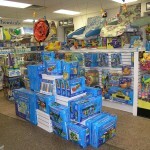 Between our two locations in Lawrence, MA and Kingston, NH, we’ve stocked everything we think you’ll need…and want…to make your pool safe and fun. However, if your hearts’ desire is set on an item you don’t spot it in our store, don’t be afraid to ask us about it…we may be able to order it for you. Check out our fantastic seasonal sale happening right now!! Now that we told you how much fun Jack is having, you need to know that we have all the boring but necessary maintenance tools, parts, fittings, equipment small and large, covers of all sorts for summer and winter, safety alarms, saunas to jump in when that water starts feeling cool, heaters to heat that water when you don’t have a sauna, lighting, chemicals, chemical systems, and a bunch of miscellaneous pool stuff you wouldn’t even think of. 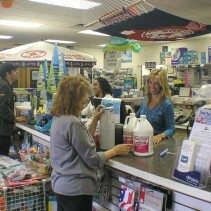 Along with all the goodies we have in our store, we also offer valuable services and a helpful staff. You will find our staff very friendly and knowledgeable. We train them year-round and many have been with us for more than a decade (or two). We prefer to offer you seasoned experience rather than seasonal help so that when you ask a question or need assistance, you get a correct answer from a “Family” member. Free Computerized Water Analysis – We encourage you to bring your water samples into our store to be tested. We can set your pool on a simple and effective chemical routine, if you don’t already have one, or provide you with what you need if do already have one. 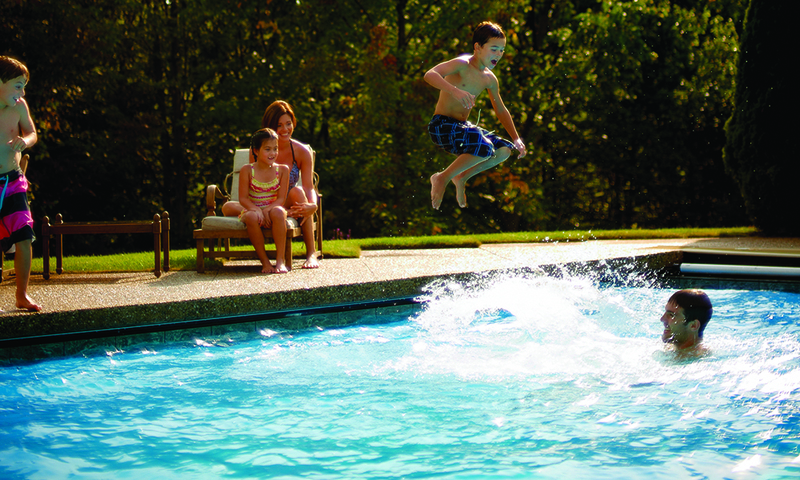 We will aid you in balancing your pool water so it is both healthy and inviting! Parts & Repair – Our repair shop can handle pumps & motors, automatic cleaners, chlorinators, valves, floor control systems, and whatever else you want to bring in for us to check out. We have a fully stocked parts warehouse that’s manned by Kevin, our trusty and experienced in-house repair technician. Click here to learn more about our Parts & Repair Department. Service Department – Located within our Lawrence retail store is our ever popular and highly demanded Service Department. Here you will find Will. Will has secret super powers. He’s responsible for booking (literally) thousands and thousands of pool openings, closings, plumbing and equipment repairs, new equipment installations, and any other of the vast array of on-site services necessary to keep your pools operational and functioning properly. We haven’t found Will’s cape but we know it’s here somewhere! Click here to learn more about what our Service Department can do for you. Maintenance Department – Set up to service in-ground pools, we have in-house representatives if you wish to inquire or book an appointment for a pool cleaning or chemical balance. Our friendly representative will be glad to give you all the details. Click here to learn how one of our maintenance plans can let you cross off some items on that to-do list! Restoration Department – We have liner and gunite interior samples, as well as, some pictures in-house for you to view. Due to the specialized demand of our Restoration Supervisors and the need for them to be on-site measuring and analyzing jobs, you may or may not find a representative in-house to assist you immediately. In their absence, one of our retail staff will be happy to assist you in viewing samples and leaving messages for the supervisors. Click here to learn more about our restoration services. Billing – Our Billing Department just about always has someone on hand to answer your questions and receive payments Monday through Friday. Otherwise, our Retail staff is always happy to assist.